I asked, and you answered! 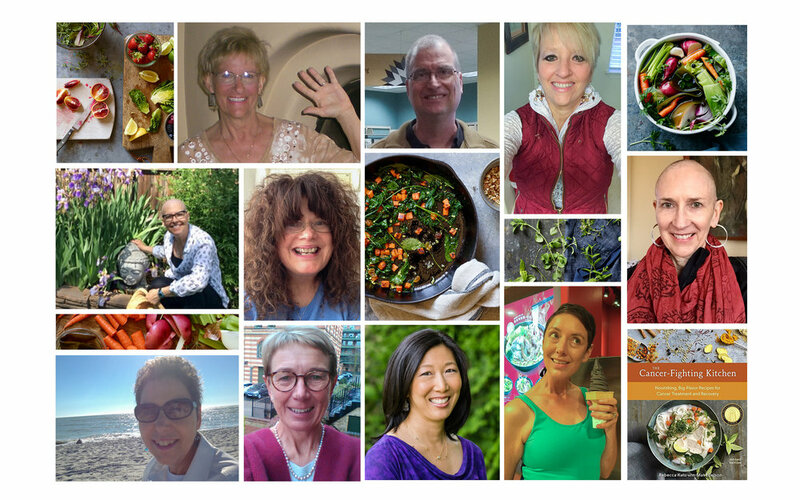 When the 2nd edition of The Cancer-Fighting Kitchen launched into the world just a little over a week ago, I asked readers who loved the 1st edition to share why, along with their photographs. if they wished. It’s been delightful to hear from some of you! Reading your comments made me feel like jumping up and offering a standing ovation! It’s one thing to write a book and quite another for you to use it, incorporating new information and recipes into your life (especially at such a difficult time), and indeed, making it your own — stained with soup, filled with notes, scribbles, changes and additions — discovering that all-important something that feels good when nothing else does. That broth, or that smoothie. A saving grace. Your words mean the world to me! The Cancer-Fighting Kitchen was my saving grace while I was sick; I even gave copies to friends and family so they could help with healthy, palatable cooking. When my husband also got sick, CFK and it's follow-up cookbook came to the rescue again with important info about what foods treat which conditions. I love to see your shining faces!!! To each of you, my heartfelt thank you for sharing your experience with CFK! WHAT’S YOUR HEALING TONIC? WHAT DO YOU EMBRACE IN YOUR FOOD WORLD WHEN YOU’RE NOT FEELING WELL? WHAT’S YOUR SAVING GRACE?